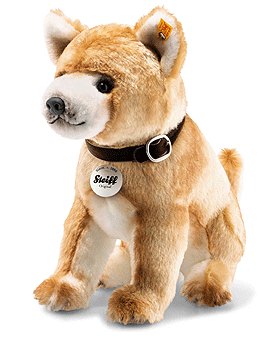 Steiff Pacco Shiba Inu is made by hand, in the finest blond cuddly soft plush. 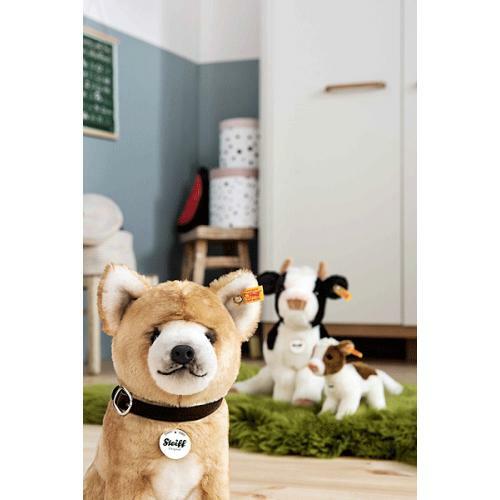 Pacco Shiba Inu stands at 29 cm and is made from cuddly blond plush fabric. He features dark brown shading on his eyes and inner ears in addition to light brown shading on the outsides of his ears, forehead and paws. The distinguished velvet collar with a golden buckle can be removed. His little paws have brown claws and beige soles. Supporting rods in his front legs keep him in a sitting position.